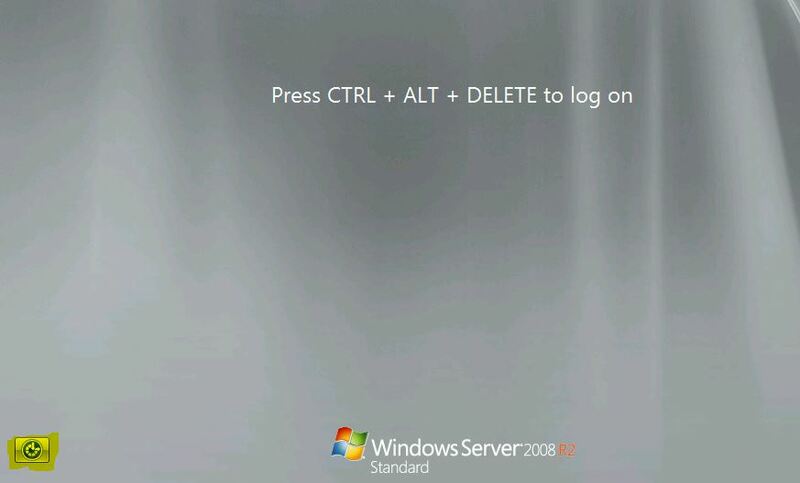 One of my friends recently contacted me to help reset domain admin password on Windows Server 2008 R2 domain controller that I helped him set up a year back. 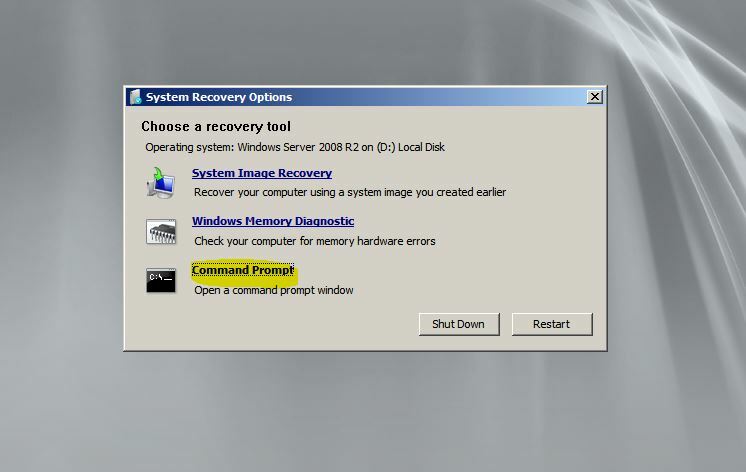 There are many tools in the market which help resetting administrator password. 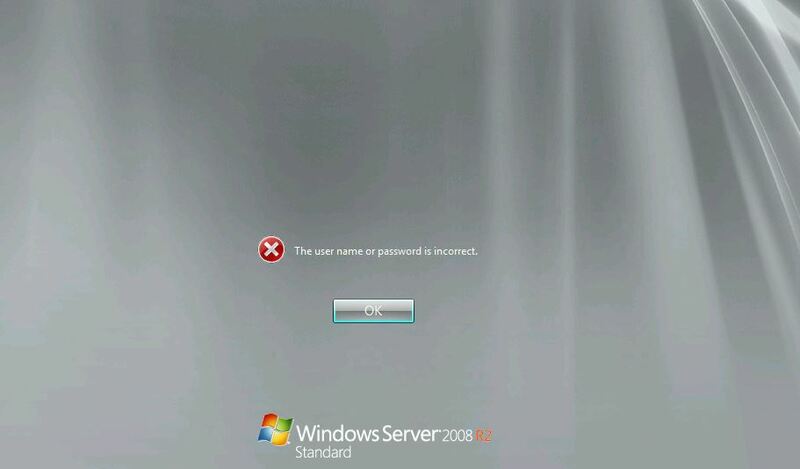 In fact, most of them help in resetting local administrator password, but not domain administrator password. 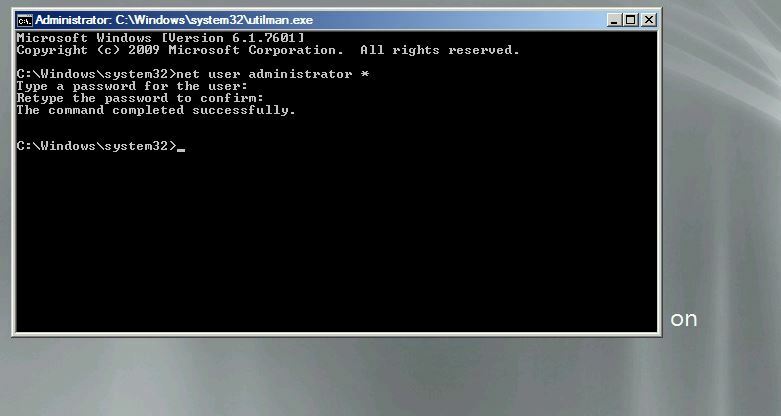 Here is an easy way to reset your Domain Administrator password. 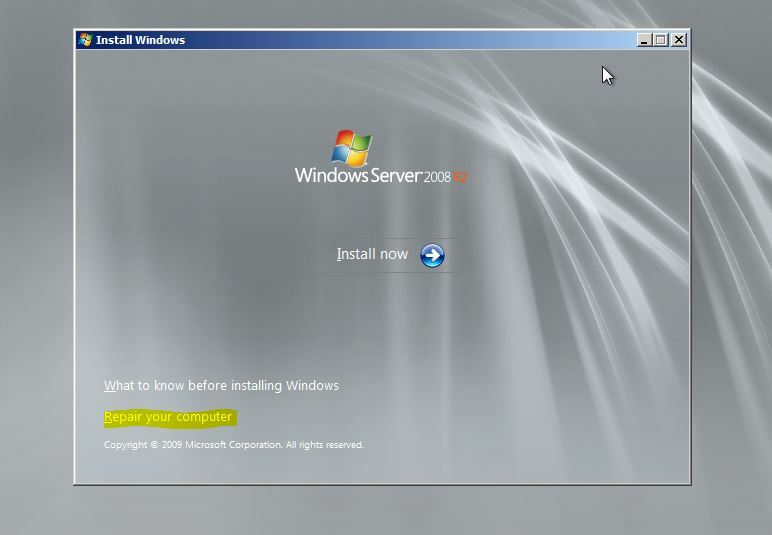 All you need is a copy of the Windows Server 2008 R2 installation disk and one simple command line trick. 7. That’s it! 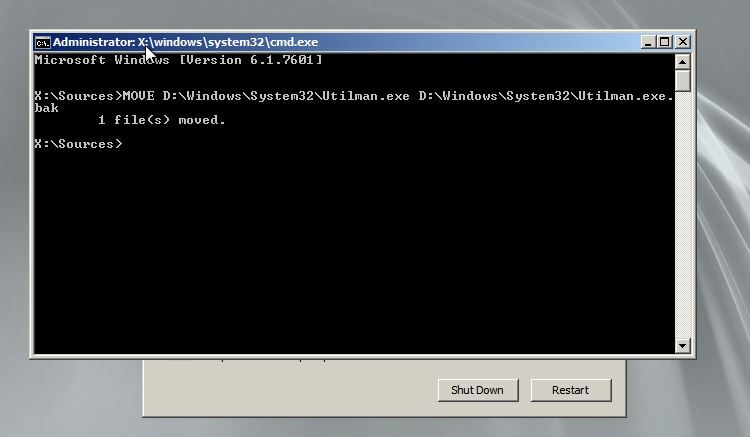 Exit out the command prompt and try logging again with new changed password. Finally, reboot the server again to the installation disk and undo the changes. That is, delete Utilman.exe and then rename Utilman.exe.bak back to plain old Utilman.exe using simple del and ren commands. I have tried above mentioned steps on a Windows Server 2008 R2 and I am sure these steps will also work on Windows Server 2008. It goes without saying that you should make a backup of your system before doing any of this, and more importantly, I bear absolutely no responsibility if you mess up your system. Remember, we are not trying to access a box we have no business accessing in the first place – take the hint or risk going to jail or ready to get laid off! mmmm…I Think we can use sethc.exe file in the same fashion…this time it will be 5 shifts!